Today is international M.E awareness day. It is a life changing debilitating disease that attacks every system in the body. I have had M.E for almost 2 years now. 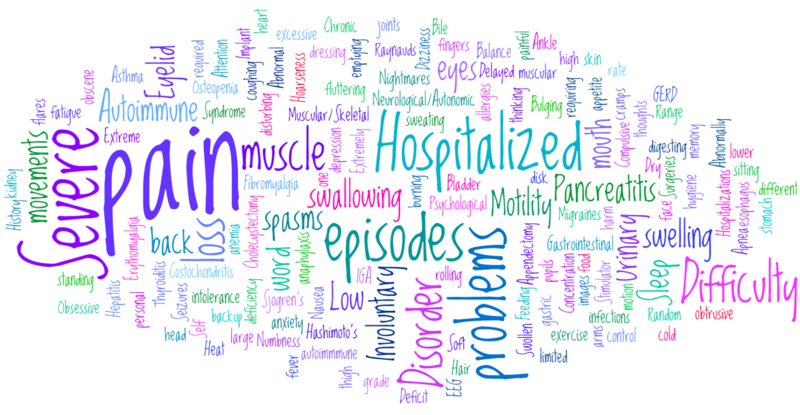 It is an incredibly ugly neurological illness and very often destroys lives. Severe cases leave people bedbound, housebound, confined to a wheelchair and in need of everyday care. In some cases kill. The affects of M.E are on a par with Aids and Cancer, it's chronic and there is no known cure or effective treatment. Despite M.E affecting millions of people around the world there still seems to be a stigma attached to it by both the general public and sometimes even the medical profession. This is unacceptable when people are seriously struggling every single day. I would really appreciate it if you could continue to take a few more minutes to read on and help ditch the stigma and incorrect misconceptions attached to M.E. The most severe cases of people are left paralysed, unable to speak, bedbound, housebound, in need of care and some need to be fed through a tube. Many people are forced to use wheelchairs or other mobility aids. Anyone can get it. Children, teenagers, adults and the elderly. Little or no support is offered by the medical profession. It is incredibly difficult to diagnose and patients are often dismissed by doctors as having a mental illness and many are given incorrect treatment that ultimately makes them more sick. Friends and families often don't know how to cope or believe the person suffering is genuinely sick. This is often down to the stigma that dates back to 50 or so years ago but has somehow managed to stick around today. It IS an approved PHYSICAL ILLNESS. The cause of the illness is not known. Any theories are merely speculation. Basic things become immensely difficult or impossible, washing, dressing, reading, concentrating, having a conversation, sitting in a chair are amongst them - which makes day to day life extremely difficult. People with this illness are prone to further problems due to weakened immune systems and as a result of their body shutting down. It then becomes a vicious cycle. M.E is often lifelong. Until more funding and research is put into action, it will continue to be this way. People with M.E are suffering everyday and desperately need support. If I have helped raise awareness to one person I have done good. I write regularly on my blog about my journey with M.E so have a look at my previous posts if you would like to see how I have dealt with it day to day so far and how it affects me emotionally. If you would like to ask me any questions please do so below (you can comment anonymously if you prefer to do it that way!) I will be writing and raising more awareness for the rest of the week as May 12th - 18th is national M.E awareness week so follow or subscribe if you'd like to read those too (If you are not a blogger you can subscribe by email or just add to your favourites) Thank you so much for reading, and please share spread the word. I have successfully copied your text and buttons to my blog and I will probably post it on Wednesday this week. You know, we all have some bad cards dealt to us in life, but what you are going through is just way too much for a beautiful young woman to have to cope with. Take care. This is my first time visiting your blog. I cannot imagine or understand your struggles, but your view on life is empowering. You are quite an inspiration and role model. As a young girl, it makes me happy to see what can be if you don't give up.